11/30/17 - Our Stocking Stuffers make great holiday gifts! 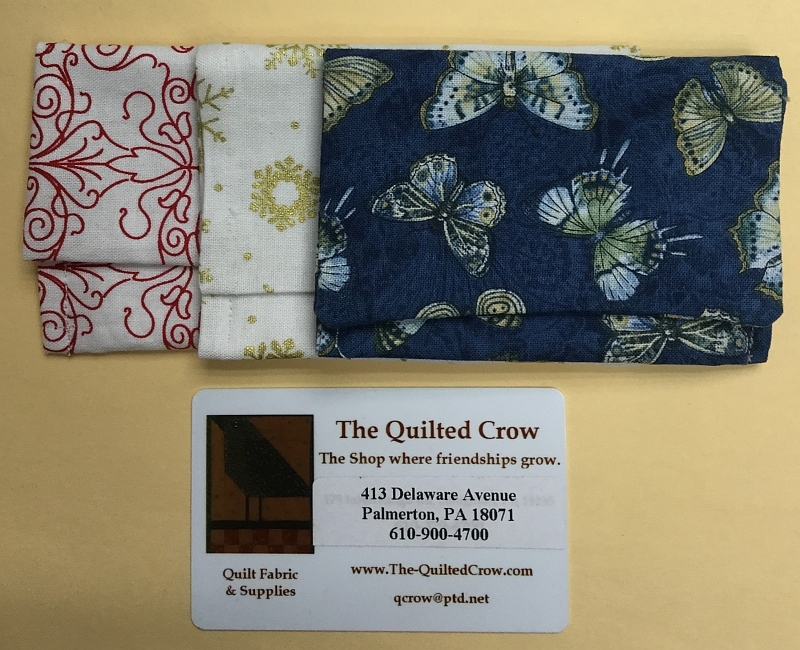 Here are some great gift suggestions for the quilter who has everything! We have Gift Cards which are available in any denomination you choose and never expire. What quilter wouldn't enjoy a shopping spree in a quilt shop? 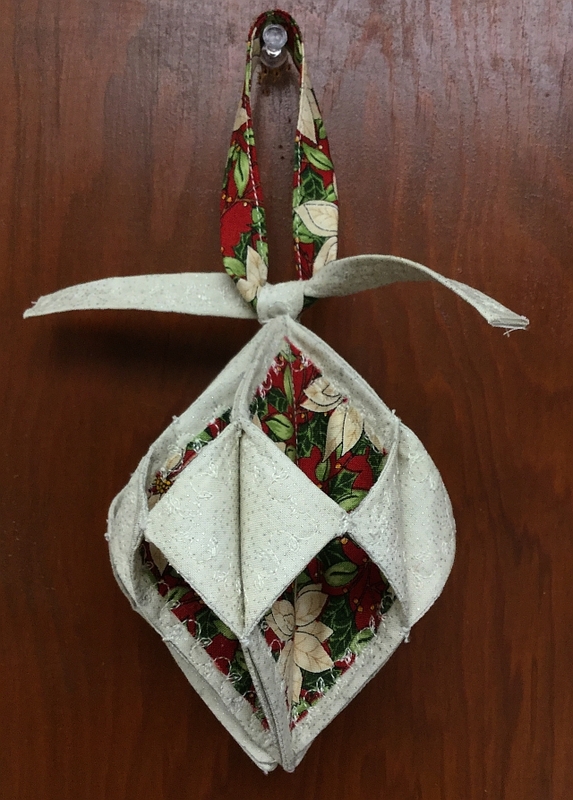 For an easy grab-and-go gift, try one of our Pocket Potholder kits. 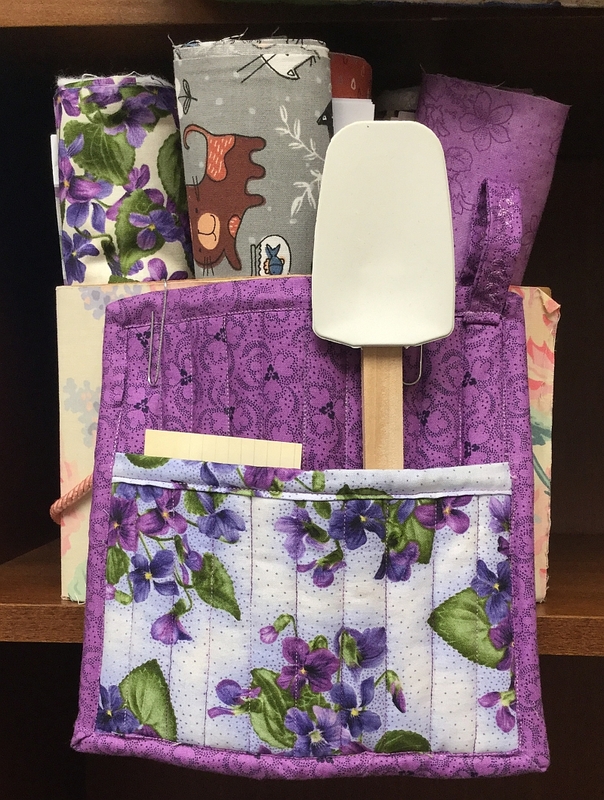 Everything you need is included and the kits are available in many fabric combinations. Available now for only $6.50! 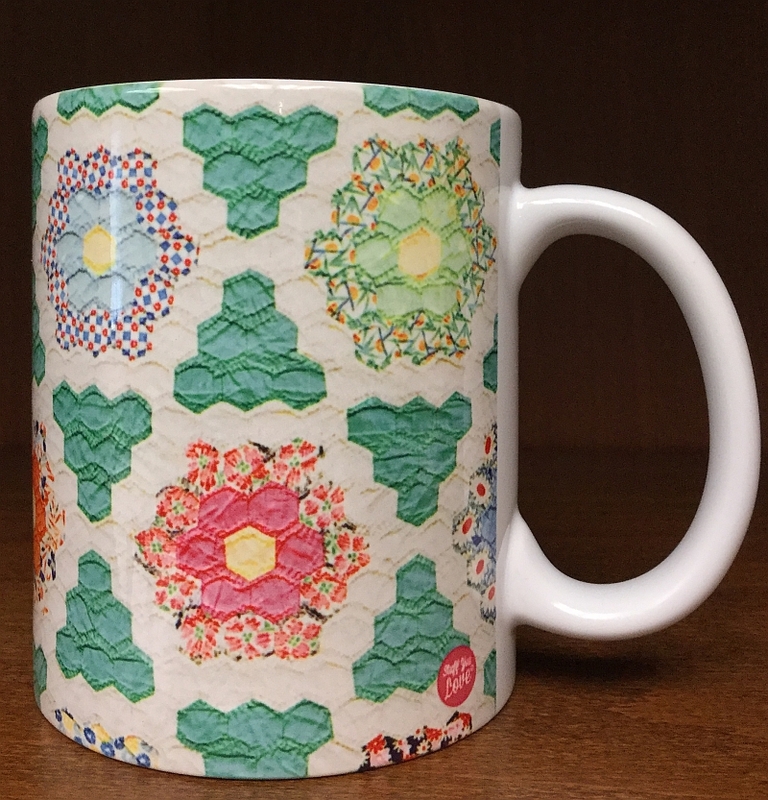 For the quilter who also enjoys a good cup of coffee, we suggest our Vintage Quilt mug which holds 11 oz. of your favorite hot beverage and is dishwasher-safe. On sale now for $12. We'll be presenting more gift ideas in the coming weeks, watch this space! The only materials needed for this class are a 1/4th yard of your main fabric and 1/8th yard of the complimentary fabric. The interfacing will be provided in class. To sign up for this class, you may either click the link above or click HEREto visit our class page. You may also sign up over the phone by calling us at (610)900-4700. 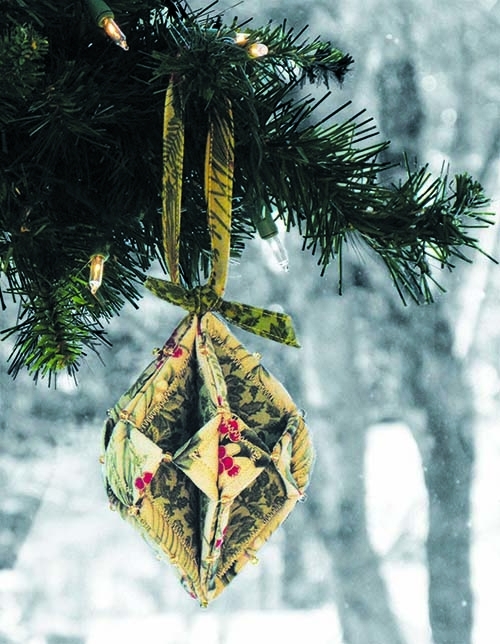 Crow Sew - The next scheduled meeting at the Crow will be onWednesday, December 6th at 10am. Quilts of Valor - QoV is on hiatus until the new year. The next scheduled meeting/work session at the Crow will be on Saturday, January 27th, 2018 at 10am.